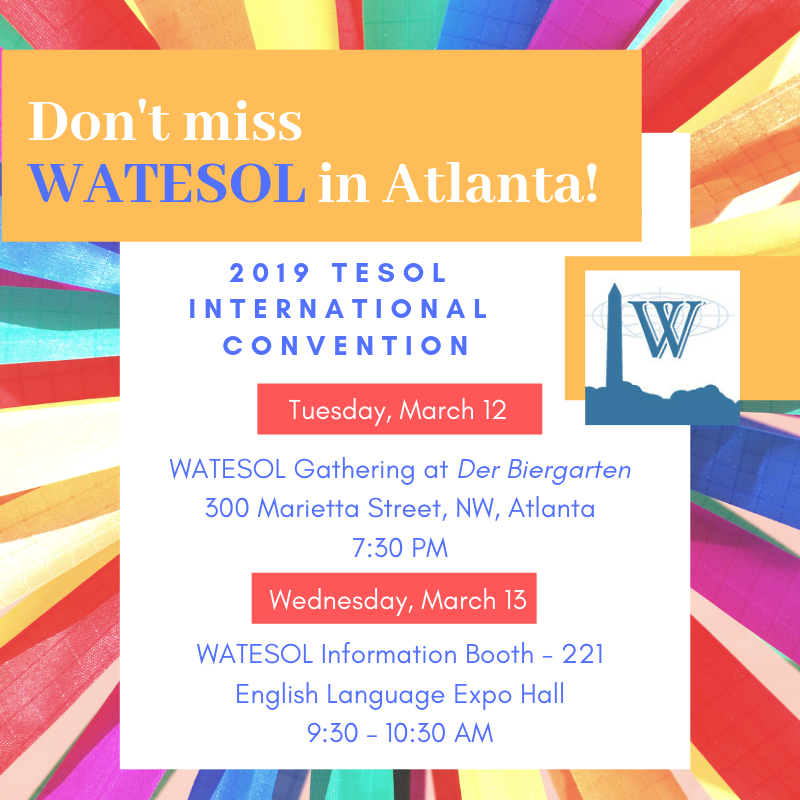 Stop by WATESOL Booth 221 at TESOL 2019! If you're headed to TESOL's International Convention, stop by the English Language Expo Hall and say hello to WATESOL board members! This event is open to everyone at TESOL. Learn more about what WATESOL has to offer. Be the first to hear about new PD events WATESOL will launch this spring and summer. Share your ideas for events, informal networking sessions, and our annual conference. Find out what WATESOL board positions are available for the 2019-20 year!